Charles Ryder's life changes for good when he meets Sebastian Flyte at Oxford University. From nights of hedonistic pleasure on the streets of Oxford to a summer spent at the Marchmains' enviable estate, Brideshead, Charles is soon immersed in the privileged life of Sebastian and his family. Yet their lives hold their own struggles and pressures, in particular the firmly held Catholic beliefs that Lady Marchmain posits so wilfully. 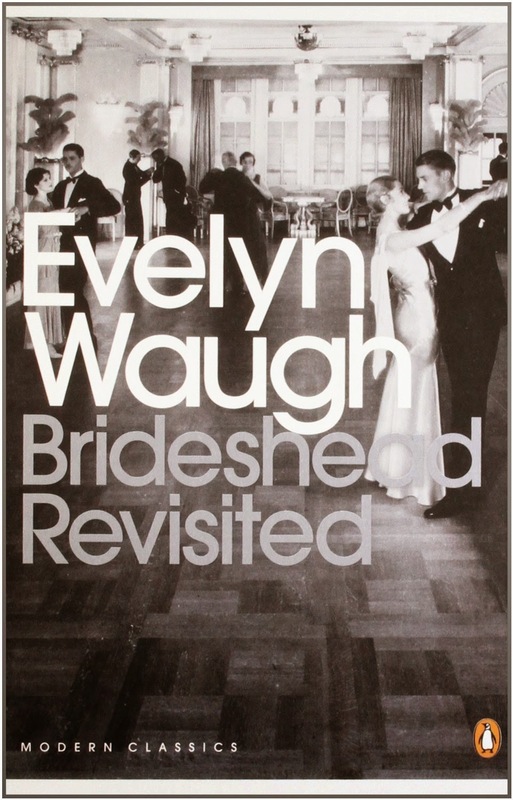 With Sebastian's steady fall from grace, it seems Charles has said goodbye to Brideshead for good until he meets Julia again in the years leading up to the Second World War. Older and wiser, they begin to sketch out a life together, but the old pressures soon return. It may seem somewhat odd that a book about the fading English aristocracy should impact readers so deeply, but this novel is truly special for a number of different reasons. Firstly, it's beautifully written, hence this quote-heavy post. If anyone has watched the 1981 television adaptation (you should), you will have an understanding of this, as sections are taken verbatim from Waugh's novel. The book is also so poignant as it is deeply romantic. Charles describes the experience of first love, with all the naivety of youth. He is mesmerised by the beautiful troubled Sebastian, swept up in a carefree world of champagne and summertime. I can certainly remember feeling this way in my first year of University, all the potential pleasures of life at my fingertips. Most importantly though, is the overwhelming nostalgia of the novel. One of the things that simultaneously gives life value and pain is the inevitable passing of time and happiness. It is impossible to hold on those moments we treasure the most and so it is for Charles. As he grows older, he only feels this more acutely. I cannot recommend this book highly enough. It's one that will make your heart ache a little more as all truly beautiful things are wont to do.